Hi Elle, thanks for the kind words and glad you are happy with us so far. Cant wait to finish your plans and see your home come to life. Design insight was good and allowed us to move forward quickly. Easy to work with and has good market knowledge. Recommended. Great service. Cristian and Brady answered all the questions that I had. Assist all the way throughout the process. Highly recommended! 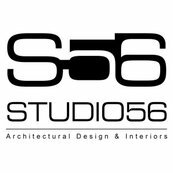 The team at Studio 56 listened to my concept for my dream home and with that they designed a house that has everything I wanted. Great designer . Very flexible and patient. Nothing was too much trouble we had a few changes made and had a unusual job. Cristian from Studio56 is amazing. Very professional team and excellent service. Always willing to take my ideas on board and give great advice. Would highly recommend!